Count Basie: The Man and His Music, Pt. 1 From humble beginnings at the turn of the century, the pianist and bandleader rose to become an American success story. By 1935, Count Basie had passed through Harlem and arrived in Kansas City, primed to take his place among jazz royalty. Though he came of age in New Jersey and New York City, Count Basie developed his band's trademark sound largely in Kansas City. From 1935 to his death in 1984, pianist and bandleader Count Basie led one of the most important jazz institutions of the 20th century, in the process forging a distinctive sound that changed the jazz landscape. By merging the sounds of his musical upbringing in Harlem and Kansas City, he developed a unique brand of swinging blues that made audiences across the world want to dance. This episode of Jazz Profiles, the first in a three-part series, examines the early life of Count Basie. 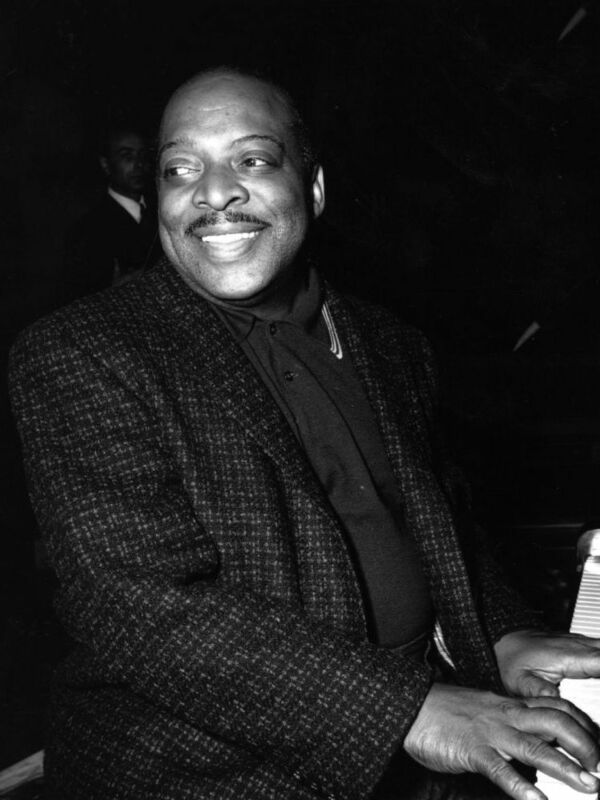 From humble beginnings at the turn of the century, in sleepy Red Bank, N.J., Basie rose to become an American success story. By 1935, he found himself in Kansas City, primed to take his place among jazz royalty. William James "Count" Basie was born Aug. 21, 1904, and raised in Red Bank, N.J. Basie was bitten by the show business bug at an early age, when traveling circuses came to town. An idle student, he spent much of his time at a local theater, where he did odd jobs in exchange for admission to vaudeville shows and silent movies. Having taken piano lessons from his mother, he soon learned to improvise interludes for silent films. Eventually, the reach of Harlem's social and cultural life touched Basie. For piano players, Harlem — home of the stride piano style — was the place to be, and Basie found his way there around 1924. Before long, he found employment on the burlesque and vaudeville circuits, which earned him opportunities to tour the country. He was particularly struck by the thriving music scene and nightlife of Kansas City, a "wet" city in a time of prohibition. Back in Harlem, Basie landed his first steady gig at a club called Leroy's. At the nearby Lincoln Theater, he fell under the influence of a great pianist, and peer, Fats Waller. Basie idolized Waller, and Waller showed Basie how to play the organ. Basie also absorbed the styles of stride piano pioneers like Willie "The Lion" Smith and James P. Johnson. In 1928, Basie's touring schedule took him to Tulsa, Okla. where one morning he was awakened by a local band called the Blue Devils, led by bassist Walter Page. Their bluesy sound captivated him and, a few months later, vocalist Jimmy Rushing invited Basie to sit in with the band. It proved a transformative experience, and Basie began to incorporate the blues-based styles he heard into his own playing. When his tour disbanded on the road, Basie was stranded and out of luck. But he reinvented himself, and his music, in the hotbed of Kansas City. Basie began calling himself "the Count" — after the likes of "Duke" Ellington and "King" Oliver — and eventually found employment as an arranger with pianist Bennie Moten's band, the most prestigious in the Kansas City area. With trombonist and guitarist Eddie Durham, who worked as the group's other arranger, Basie created charts that reflected the blend of Harlem and Kansas City styles for which he was soon known. Though Bennie Moten's band was filled with great musicians, Moten was unable to keep it together to reach national success before he died in 1935. Facing a group of fellow unemployed musicians, Count Basie was at a turning point in his career. About a year and a half later, he would be leading his own group to New York — and heading for worldwide fame.